If you care about the future of ultimate media, read on. If you care at all about Skyd Magazine, read on. If you’re wondering why companies like NexGen pop up and die, read on. As Editor in Chief of Skyd from the get-go, I’ve been privy to a lot of the facts behind what it takes to run an organization like Skyd and what business in the ultimate world is like. This article is about reality. The reality of what’s happening to ultimate media and what it would be like without Skyd. The reality of what it’s like to run Skyd and why we do what we do. I’m tremendously excited about what Skyd will be doing in 2015. But, frankly, I’m writing this because I’m nervous for the future of Skyd and ultimate media in general. Right now, with less than 20 days left in our fundraiser, we’re way behind our goal of $32,000. If we don’t make our goal, it will effectively force Skyd to ask itself a lot of questions, like if our staff and columnists will still be able to afford to spend time making Skyd a useful and valuable tool to our community. If our goal is not reached, it is likely that we won’t be able to devote as much time to our content and we’ll make the decision to close Skyd’s doors. There have been enough misconceptions about Skyd and enough lapses in memory about what Skyd has accomplished, that not reaching our fundraising goal, sending Skyd to certain death, is in danger of becoming reality. I’m not writing this so you’ll feel sympathy for Skyd, but instead to inform you about the importance of your support. Our first official logo. I will always regret this. Skyd started in 2010 with an idea. There was a niche unclaimed in the ultimate community for a true resource for information. I have to remind people of this because with such an abundance of media today, very few people seem to remember that before Skyd there wasn’t much of anything in ultimate media. No team twitter or Facebook accounts, no Ultiworld, no USA Ultimate partnerships with ESPN, no NexGen. Nothing but a small amount of fledgling blogs with inconsistent quality and frequency, and USA Ultimate’s well loved Score Reporter. Ultimate players had nothing to rely on. With some experience in media creation and a good understanding of the ultimate scene after working a bit with the “beloved” (and entirely misunderstood) event management company Cu1timate, I decided that I’d give building that important informative resource a shot. In the first year of Skyd, the other founders and I worked tirelessly. I had two jobs at the time, and basically had no life outside of those jobs and ultimate. For us, quantity was the name of the game. We previewed every college team in that first year that responded to our e-mails. 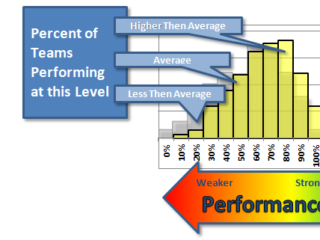 Seriously, every college team. Hundreds. 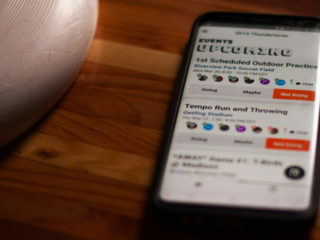 Initially, we’d post articles on just about anything ultimate – the launch of a new company, a cool video we found, etc.. We’d do that because we wanted to be a centralized place for anything ultimate. It meant that we’d get a lot more attention to our site and provide more benefit to the ultimate community. A reoccurring article which shared scores from the weekend. Again, I’m not proud of the design here. People felt Skyd’s impact immediately. It was like ultimate was waking up to the world of media and discussion. Throughout the end of 2010 and 2011, Skyd was a major catalyst for the media world that ultimate enjoys today. Amidst many short lived blogs, magazine and attempted resources for ultimate, we were the first to break through and stick. In the next years, real coverage became a big part of what we wanted to do. We’d work with local reporters the best we could to craft recaps of events we couldn’t go to ourselves. We expanded our network of talented and dedicated staff who would work for merely the opportunity to contribute to something that helped the sport grow. Remember when Jonathan Neeley and Joaq Nagle had a podcast on Skyd and a blog called Inside Breaks? Because I don’t. Eventually, quality issues caught up with us. We couldn’t cover every tournament we wanted to well without a real budget. We started to connect with tournaments and forward-thinking sponsors like Spin Ultimate to put together limited budgets and send more experienced writers and video teams to put together better and better recaps of events. The quality got better, but the reality was that covering events and coordinating it all was exhausting, and Skyd simply wasn’t making the money from advertising and sponsorship that we needed. Realizing that endemic sponsors didn’t have the advertising budgets that we needed, we reached out to sponsors outside of the ultimate community, but they didn’t take us seriously because a. we were ultimate and b. despite our best efforts, we weren’t generating enough pageviews. It was about this time that I hit a breaking point. I couldn’t keep doing Skyd like this. With the help of limited staff, I was killing myself to get articles up and polished, and was getting paid zero dollars for all of my hard work. The life simply wasn’t– and still isn’t– sustainable. Yes, I was getting some personally valuable opportunities to create work I was proud of, to travel to places I’d never been before and meet colorful and kind people, but after a while I had just burned out. The infamous Chiniya Rada wins Windmill 2013. In 2013, after three years of working on Skyd, I was ready to call it quits. Then a combination of things happened. The first of those was that I went to Windmill Windup and had an rewarding time working and playing with a group of fun-loving people. My love of the sport was rekindled, and with it my spark for Skyd. Not the Skyd that I had originally envisioned either, but a Skyd more focused on the stories and the emotions that connect people with the game. Ultimate from the voices of the people who love it. With the advent of team twitters, USA Ultimate recaps and Ultiworld, it seemed more logical to differentiate Skyd from the crowd and focus instead on story-based coverage. I explained to the team the new plan to make Skyd the voice of ultimate, a true catalyst for the growth of the sport. But still, we were left with the issue of money. Simply put, advertising and sponsorship was — and is — not enough to support an organization like Skyd. Where were we going to get the money to run this thing right, to no longer have to ask our contributors to work for free? Calling it quits still seemed like the prudent choice until one of our founders, Christian Brink, suggested that I put it on the ultimate community to decide if they wanted Skyd around. “The ultimate community might be disappointed if you just stopped Skyd without giving them a chance to support it,” he said. Well, alright. “I might as well give the ultimate community the chance to decide if Skyd is something they want,” I thought. What followed was a ton of planning and numerous discussions on what we would ask for in our fundraising campaign. Eventually we decided to ask for less money than what we really needed. Our plan was that if we put forth an obtainable goal and showed everyone the value of their dollar, then they’d surely support us in the future if we needed it. We weren’t expecting to need it as we also intended to bolster our efforts to find sponsors and advertisers to fill that big gap in funding that we needed to run Skyd right. We raised just over $14,000 in our first fundraiser and things were going great. Our columnists were innovating, we had a slick new web design, we were raising some sponsorship/advertising funds, we were restructuring the company to be more functional for me and other staff and all of us involved in Skyd had never been prouder. A Skyd that was focused on stories was on fire, and it was better than we even hoped. Skyd covers the European Beach Ultimate Championships in Barcelona. We solidified our Training Blog and Win the Fields with Lou Burruss. We brought on Beau Kittredge’s Beau Knows Blog, Jen Pashley’s Making Fury and Jim Parinella’s Death or Glory. We enhanced our video programming and produced a web video series with Chasing Sarasota’s Matt Mastrantuono about Toronto’s GOAT called The Herd. For the first time in three years, as Editor in Chief, I took a small salary of just over $5,000. Inspired by my rekindled love for ultimate, I invested in another ultimate project called Ultimate Globe Trotter so I could feature more of the voices in the ultimate community. Surprisingly, a lot of people, even folks I respect, have made some pretty inaccurate and ignorant accusations about the funds used to create Ultimate GT and the purpose of my travels in the first place. I blame myself for not being clearer about the reality of Skyd and Ultimate GT, but there’s a point at which over four years of good work for this sport should stand for itself. I want to make it clear that Skyd funds were not used to make Ultimate GT happen. I put my own money into it because it is a project that I believe is both personally exciting and benefits the sport by celebrating and uniting the ultimate community at large through competition and stories about people who play the sport all over the world. By mid-2014, reality was stacking up again in the form of impending bills and a draining bank account. Our projections for sponsorship and advertising were off. Like, $15,000 off. We just simply couldn’t get the funding we thought we could. Our product wasn’t valuable enough to advertisers. This was a problem and Skyd’s future was once again in question. 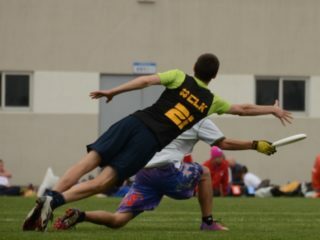 As Skyd traveled to Lecco to work our asses off at WJUC and WUCC under less than ideal conditions and provide what is arguably one of the best broadcasts of ultimate in the history of our sport, in the back of my mind I was trying to come up with a way to save the new Skyd that we were all so proud of. The hard-working Skyd team in Lecco, Italy! KUOW, Seattle’s NPR affiliate is a staple for many Seattleites, including me. Besides sharing a lot of great stories through their ongoing shows. they run a fundraiser drive twice a year to continue their programming. Eventually, the dots connected for me. Until we were able to raise enough money to be financially sustainable, we could develop a reader-supported model. So we made our plans to launch SkydFund 2015. This time we adjusted for the reality of sponsorship and advertising and decided to ask for more funding. While $32,000 is certainly more than the $12,000 we asked for last year, but it’s not that much money in the grand scheme of things. It’s not enough to pay one person a fair full time wage for the work they do. It’s not enough to pay our columnists what we believe they deserve. But we believe it is a fair amount to ask for knowing what it takes to run Skyd and the realities of how a company like Skyd makes its money in today’s ultimate media market. For Skyd to be a truly sustainable business, we’d easily need a budget of $100,000. And when I say business, I don’t mean a bunch of people working for less than they’re worth because they love this sport. I mean people working full-time to do something right. I do think it’s fair to want a living wage for your staff. We’re going to continue to strive to run Skyd as a sustainable business with the monetary support of the ultimate community, but until that day when the market matures enough so we can, Skyd may need the support of our readers for years to come. Considering what we’ve done year after year for the ultimate community, we don’t find it unreasonable to ask just a tenth of our readers to donate $20 to keep our content free. Looking back, it’s no surprise that NexGen called it quits after three years of creating groundbreaking video content for ultimate. I know Kevin Minderhout to be a similarly driven individual who believes in creating something great because that’s what the sport deserves. I know he worked tirelessly to perfect his product. I know that he squeezed every last bit of selfless joy out of NGN before accepting the reality that it simply wasn’t worth the time and effort he was putting in balanced with his personal life goals and needs. At the end of the day, the return just wasn’t there for NGN and it hasn’t really been for Skyd either. But we’re trying to find a way to keep going. 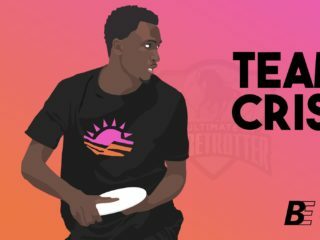 This fundraiser is our solution and an opportunity to continue to make great content for ultimate. I believe that Skyd plays an important role in ultimate. One that does not compromise its vision and integrity for an extra dollar; one that’s not going to put up a bodacious headline just for clicks. We mean to create quality, not sensationalized minutia that dulls our senses. We mean to create something that ultimate is proud of and act as an outlet for the voices of the ultimate community, not those guided by monetary reward or third party interest. We mean to promote what we perceive as good for ultimate and its growth, not necessarily what’s popular. Without Skyd we run the risk of submitting ourselves to the hands of larger entities which are more driven by financial benefit and less connected with the wants and needs of our sport. In a world without Skyd, we may lose an important platform for anyone for our community to share their voice and influence the sport without fear of being censored. 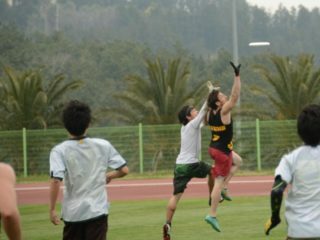 Skyd exists to celebrate the sport of ultimate and act as the voice of its people. And in four years, I believe we’ve done that. We told stories with articles like Lights, Camera, Nothing and Chasing the Fish. We interviewed legends like in my old podcasts with Kenny Dobyns and Suzanne Fields. We gave an outlet to passionate writers like in Hector Valdivia’s They Don’t Know Nord, Beau Kittredge’s A Dead Horse, Sam Salvia’s Letter to the Spinners and Ben Van Heuvelen’s What Do We Stand For. We trained and educated with series like Ben Wiggins’ Raise Your Game and Zen Throwing, and articles from Melissa Witmer like Train Like An Animal. We reviewed products and supported ultimate businesses. We help to unite the international community with coverage from Windmill Windup and Worlds 2014. And Skyd isn’t done. We have some truly amazing columnists lined up for 2015 and some great coverage planned as well. Skyd 2015 is absolutely geared to be better than the rest. But only you can decide if it happens. Now is the time to decide if that mission is worth fighting for. This is the moment in our sport where we decide if we want to support a community driven, community focused media resource. In 4 years of Skyd, I believe we have stayed true to those values. I sincerely hope that you vote with your wallet to support us this year and in years to come. We’ll continue to prove our value to the ultimate community for as long as you’ll have us.